The Lineage Collection pays homage to The North Face’s rich outdoor heritage while staying true to their core values of innovation and sustainability. They took inspiration from a vintage TNF pack, reengineering it with new suspension systems, updated features, and added 100% recycled materials. This classic rucksack silhouette pairs with modern materials to create a pack that’s perfect for all-day use from the trails to the classroom. The main, 23-liter compartment has a laptop sleeve to protect your electronics from bumps and falls, and is big enough for books and binders. 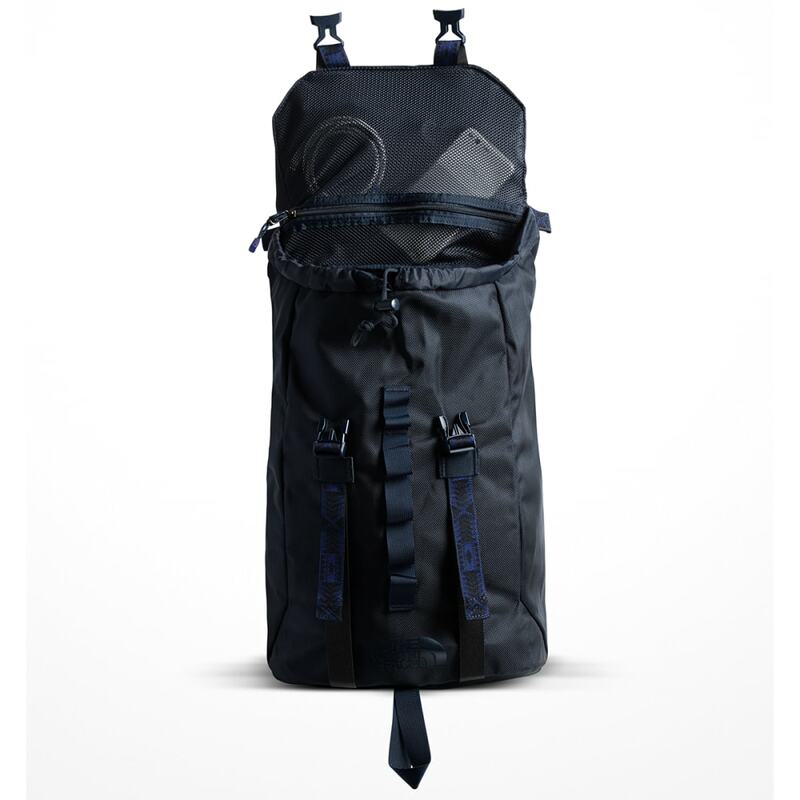 Two zippered internal and external pockets on the top lid keep loose items easily accessible, and multiple molded side and front webbing lash points mean you can hook gear to the outside to maximize internal space. 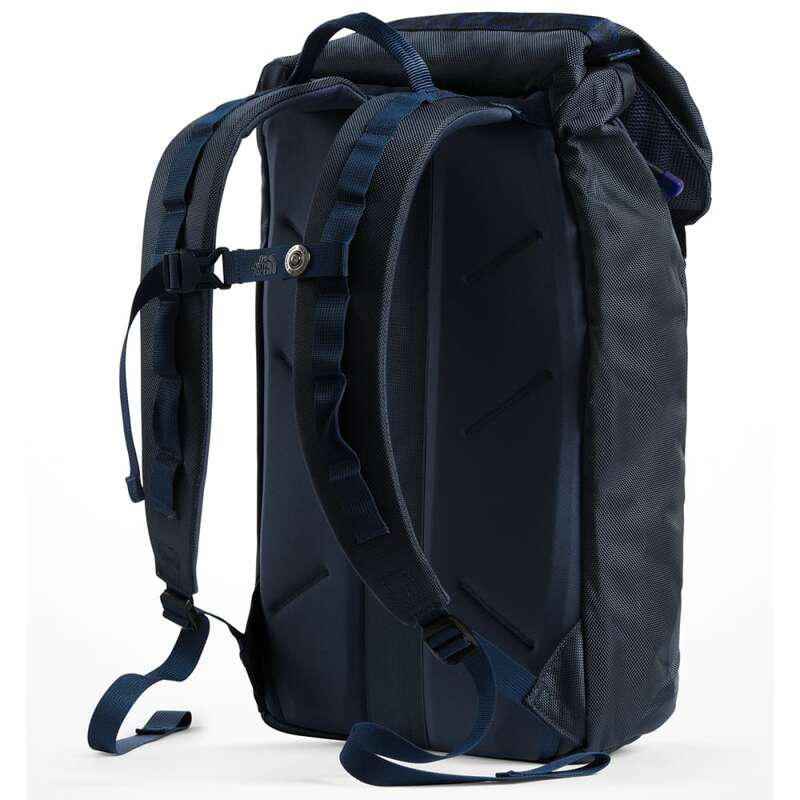 The FlexVent™ suspension system features a flexible yoke built from custom injection-molded shoulder straps, a padded mesh back panel, and a breathable lumbar panel. Dimensions: 17.25" x 11.75" x 5.25"
Weight: 1 lb., 14 oz.